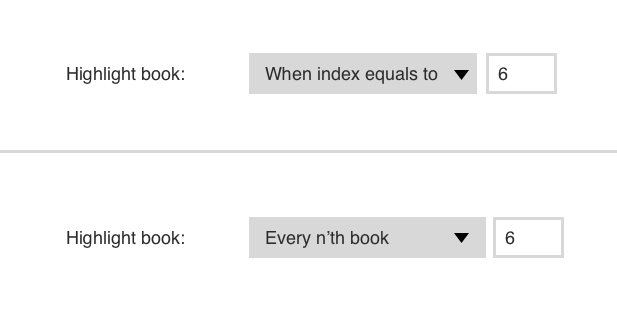 I'm trying to design an input that should define this index, so it's clear to user what it does. But it still feels wrong. Any tips on how to make it better? You might also provide selection shortcuts if you need them to be faster. 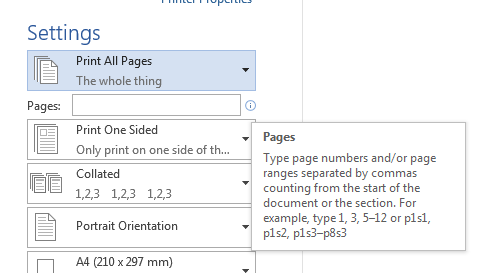 Instead of limiting them to one type or another, what about something like how printing works in Microsoft Word (among other applications). It gives a textbox and the user types in which pages they want to print, using commas to distinguish between different pages, and also allows ranges to be chosen (e.g. 7-10). This could be extended to accept every nth term by some syntax of your choosing, e.g. %6 will highlight every 6th book. 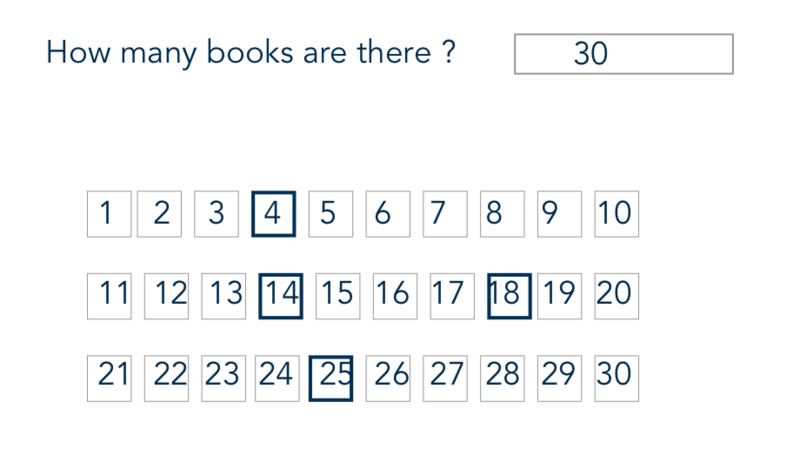 A user could then enter something similar to 1-4, 7, %10 which would highlight books 1, 2, 3, 4, 7, 10, 20, 30, etc. This will require some extra work in terms of validating the user's input, and ensuring the values they enter are valid, as well as providing some sort of tooltip or placeholder to describe how the feature works. However, this is how most applications work in terms of printing, so shouldn't be too difficult for the user to understand. Screenshot of how Microsoft Word does it below. I think your original solution is very good; probably the way I would have designed it myself. Not the answer you're looking for? Browse other questions tagged gui-design input-fields dropdown or ask your own question. Best way to ask the user how much something cost, approximately? Does a select input element (fixed options) need a “clear input” button?